Over the years, you may have developed your own safety protocol, and if you’re conscientious, you probably err on the side of caution. No matter how safe you are, however, new codes, practices, and equipment emerge as the industry evolves. It’s sometimes hard to stay up to date, let alone, just refresh and reinforce what you already know. Fortunately, skilled trainers are available to help you brush up on your knowledge and upgrade your skills. Here are a few of the things most electricians and apprentices should know and put into practice from the first day on the job. Here are some basic safety recommendations to compare your first-day safety procedures against. Plan the job ahead of time: assemble the right tools for the job; consult procedures that you’ve mapped out prior, as well as pertinent drawings and documents. Ensure that equipment is isolated from power sources. Conduct a Walk-Thru Review of the job site for potential arc flash and electric shock hazards. Test conductors and circuits prior to touching them. Make good use of personal protective equipment, but remember it’s the last line of defense — rigorous safety procedures should be your first line. Don’t tackle jobs you’re not qualified for. Turn power off electrical equipment and conductors before working on them. Lockout and ground equipment before you work on it. Use insulated tools whenever possible. Power down and take precautions wherever contact with uninsulated overhead power lines is possible. 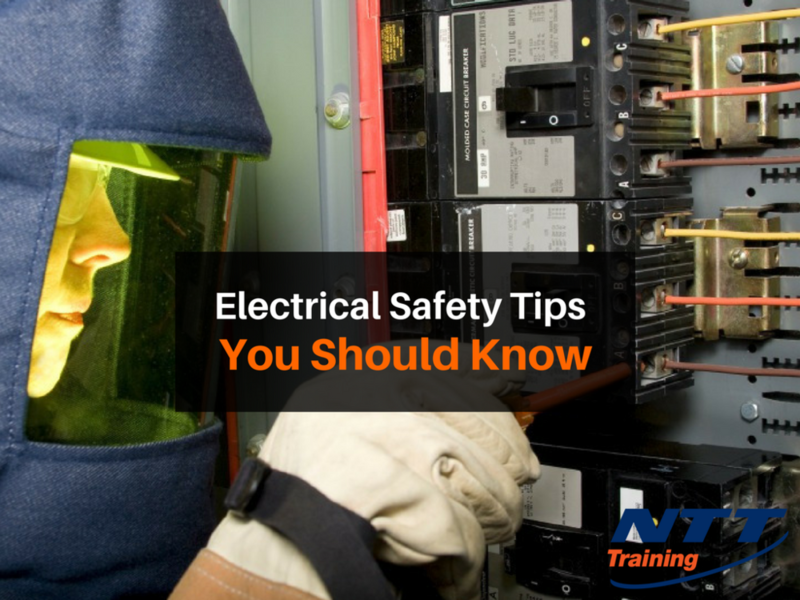 After reviewing the above procedures, you realize it’s time for an upgrade of your safety skills and electrical safety tips by calling in a trainer. If you’re an employer, what about training new employees to ensure they have an optimum understanding of safe procedures? Safety training is important not only for the physical wellbeing of the workforce, but also to maintain your company’s reputation for safety. Arc flash electrical safety — Arc flash analysis, or identifying potential electrical hazards in a facility, is standard procedure for our industry, so a training course may sometimes be necessary. Such a course would teach how standards are used during both construction and maintenance of buildings and facilities, and why such safety procedures are important, as well as what should be done to ensure the business meets government standards for worker safety. High voltage electrical systems — As our electrical systems grow larger, workers need to complete tasks safely and efficiently near high voltage electrical systems. It’s crucial that you, your contractors, and technicians are up to date so additional courses may be a good idea. Learn how to create a safe work environment through an understanding electrical hazards and proper work and protection practices. Codes and standards — Maintaining a thorough up-to date understanding of all regulations, codes and standard ensuring compliance is met and safety remains the highest priority.